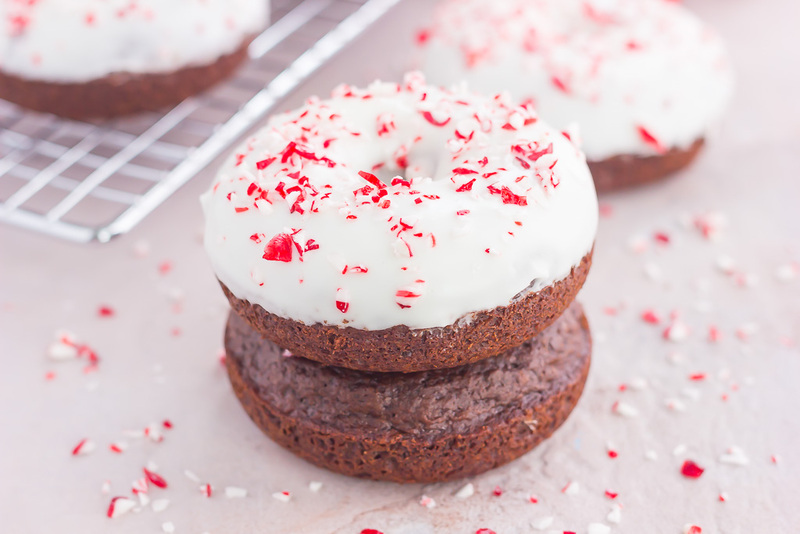 These Chocolate Peppermint Donuts are the perfect holiday treat! 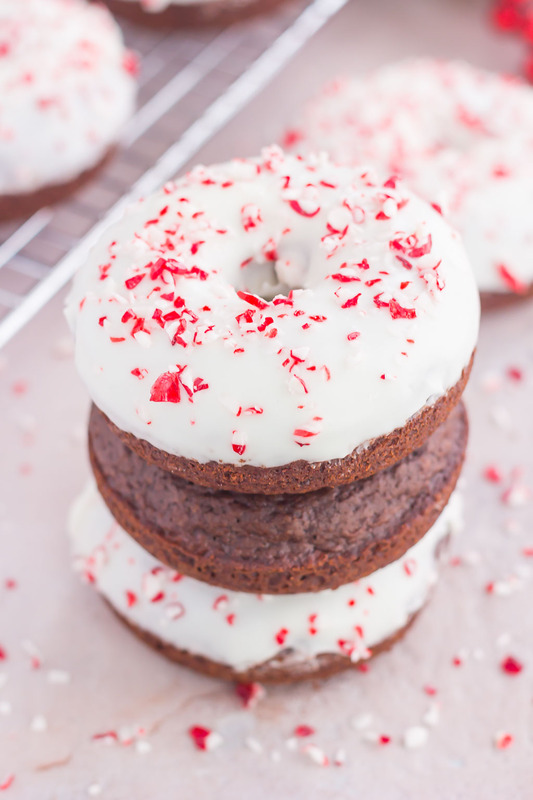 Rich and chocolatey donuts are topped with a sweet peppermint glaze and topped with crushed candy canes. Moist, delicious and so easy to make, these donuts make the best breakfast or dessert for the season! Now that you’re officially on turkey overload and may still be eating those leftovers, it’s time to switch gears. I’m thinking something with chocolate…and peppermint. After all, that’s pretty much my favorite combo come the holiday season. And since Thanksgiving has officially come and gone, I thought it was safe to break out the holiday recipes. Agreed? Christmas is my favorite holiday and I just love the hustle and bustle of the season! The movies (if you remember, I’ve been watching those cheesy Hallmark movies for a few now), the music, the decorations (and the tree! ), the presents, family, friends, and food. I love it all! Even the cold weather seems to be fitting this time of year, though it can promptly end on January 2nd, please! My house is already decorated for the season, the hot chocolate and movies have been on repeat, and I’m giddy with excitement. I may be an adult, but I feel like I appreciate Christmas a lot more now than I did when I was younger. And baking…I love holiday baking! I’ve been testing holiday recipes since the end of the summer and I can’t wait to share my latest (and greatest) recipe with you. 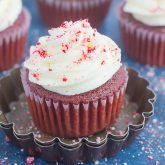 It’s chocolatey, pepperminty, and oh-so delicious! 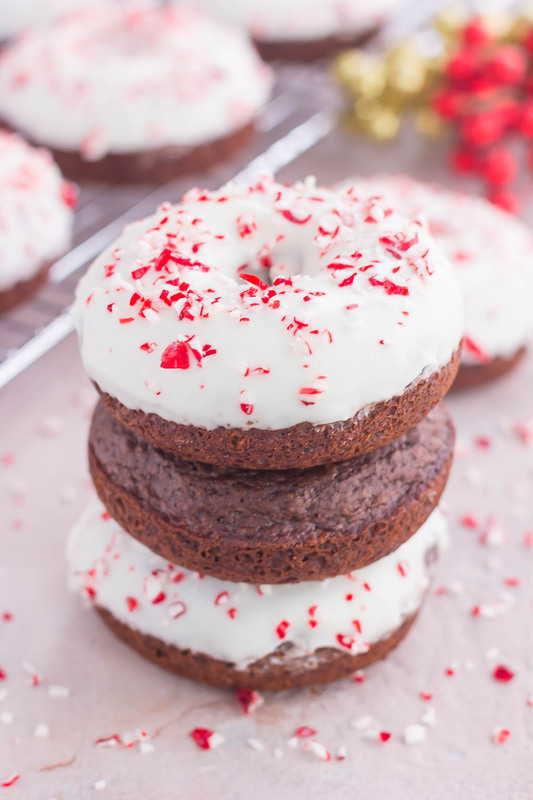 I realize that Chocolate Peppermint Donuts aren’t necessarily a new thing, but for me, it’s been on my holiday recipe bucket list for some time now. And I finally conquered this treat, friends! The base of the donut…you know, that chocolatey, moist, rich part is from my Baked Oreo Donuts. You just can’t go wrong with chocolate. Especially chocolate that bakes up tender and full of flavor. Am I right? 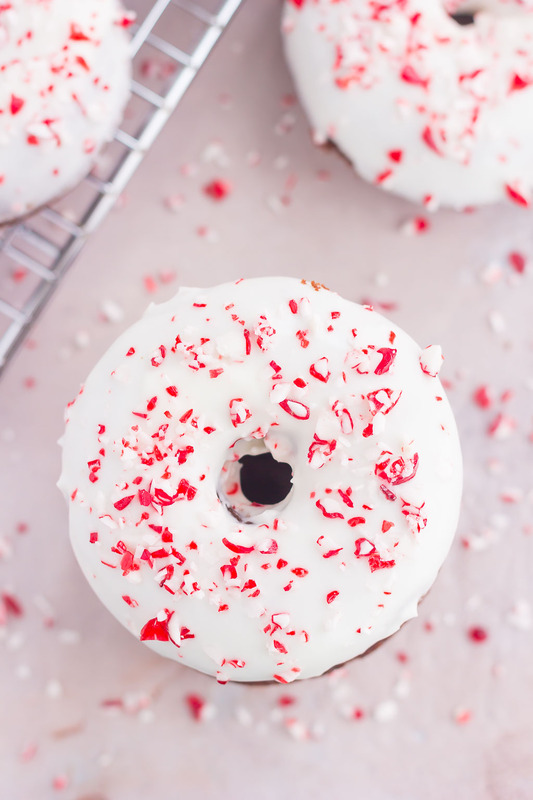 And that creamy peppermint glaze on top…be still my heart! 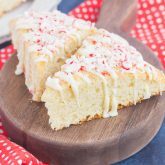 It’s sweet, with a touch of peppermint, and crushed candy canes on top. It’s a fun and festive way to devour these donuts! And like most of my recipes, these Chocolate Peppermint Donuts are a breeze to whip up. Within a half an hour, you can have the donuts made, baked, and ready to be cooled. And the glaze couldn’t get any easier (or more fun) to make! 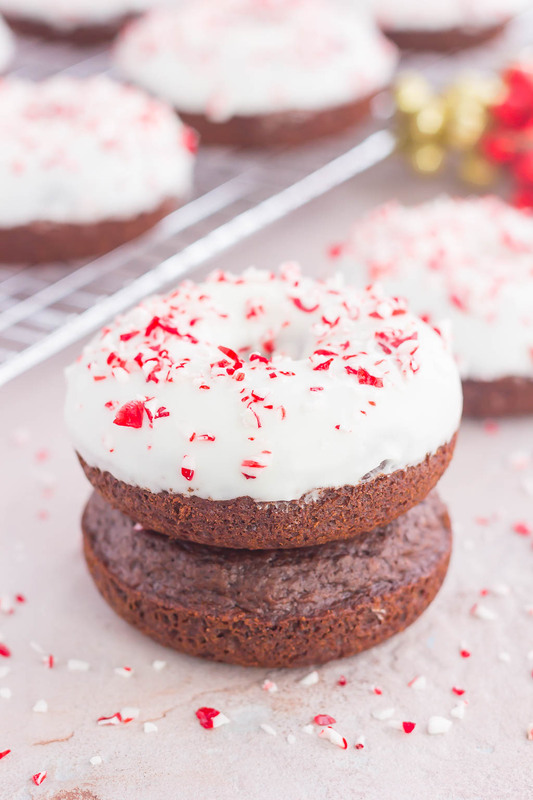 So if you’re on the hunt for that perfect holiday sweet treat, these Chocolate Peppermint Donuts are sure to please those holiday guests and hungry kiddos! 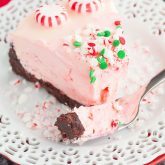 Looking for more peppermint desserts? I’ve got you covered! Preheat oven to 350F. Lightly spray two 6-count donut pans with non-stick cooking spray. Set aside. In a large bowl, combine the flour, brown sugar, cocoa powder, salt, baking powder, and baking soda. Set aside. In a medium bowl, whisk the egg, milk, coconut oil, and vanilla extract until smooth. 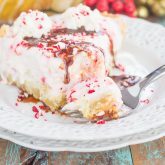 To make the glaze, whisk powdered sugar, whipping cream, peppermint extract, and salt until smooth. Take each donut and dunk halfway into glaze, then sprinkle with crushed candy canes. Definitely perfect for breakfast, Blair! Thanks! I haven't decorated yet and only just getting in the holiday mood. I'm usually way excited about it, but this year it's all coming a little too fast. I had some holiday candles lit this weekend and the smell kinda put me in that holiday mood. Pretty soon we'll have our tree up and I know when that happens I will get excited :) Loving chocolate and peppermint and these donut look so pretty, Gayle! Wish I had one (or two) for breakfast today! Pinned! Happy Monday to ya! I feel like the holidays always come too quickly! Thanks for the donut love and pin, friend! Chocolate and peppermint is the best way to kick off the holiday season! These donuts look so soft and fluffy and these flavors are one of my biggest weaknesses. They look amazing Gayle! Thanks for the donut love, Marcie! Chocolate and peppermint always remind me of the holidays! I am with you - I love everything about the season! Our house is decorated, too! Hung the last twinkle light last night! Never enough twinkle, or donuts!! Pinned! Isn't the holiday season the best? Thanks, Annie! Love the chocolate peppermint combination! These donuts look perfect! Pinning to try them for Christmas! I love anything with peppermint on top. Perfect for the holidays! These are so festive Gayle!! I made some peppermint hot chocolate the other night but I have yet to start baking with the flavors this season! These donuts look delicious!! Thanks, Ashley! I'm a sucker for anything with peppermint and chocolate.